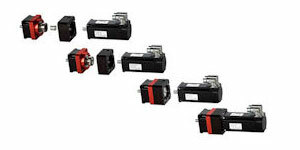 The RediMount™ motor mounting system allows an easy, error free and quick connection of Thomson Micron’s TRUE Planetary® gearheads to just about motor available in the market. The innovative design, with adapter sleeve and input housing, features gearhead mounting within one working process. Interchangeability - Same RediMount system is used throughout 7 product lines.